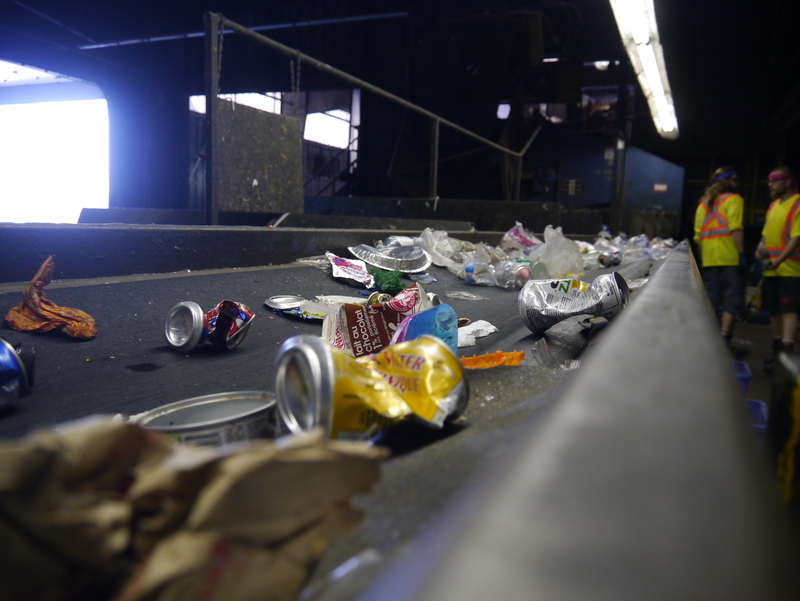 Have you ever wondered what happens to your recycling after it is collected? 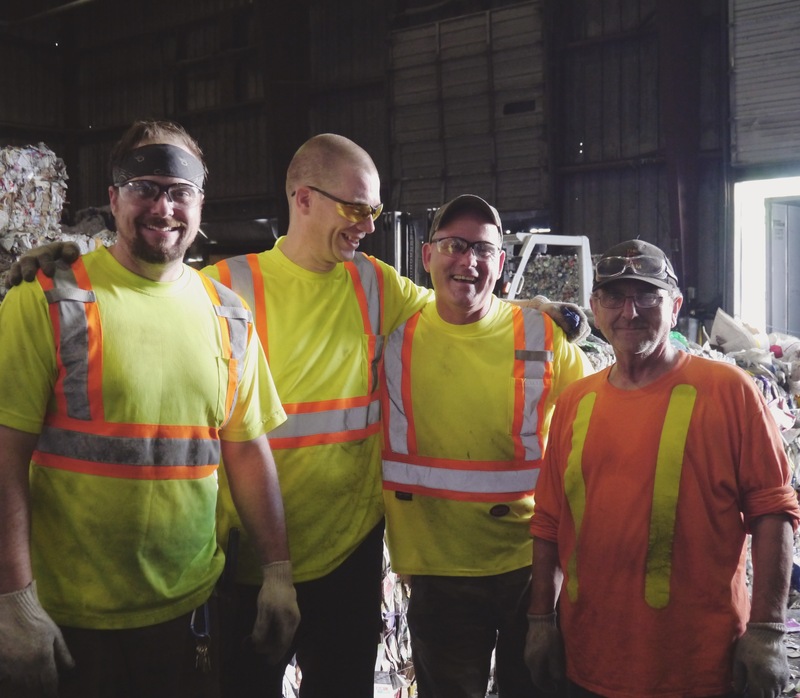 At the Material Recovery Facility, workers on the sort line spend hours each day sorting the material by hand. This job involves some unpleasant surprises, ripping open bags of material, and wondering what hazards may be hidden in the recycling. Heather is the line lead. This means that she is responsible for dividing up people and assigning them to either the containers or the fibers line. Once everyone is divided up they go up to the lines and start sorting. One thing Heather wants residents to know is that you need to be careful about what you put in the blue boxes. “Watch what you put in your blue box, we know it’s easier to put everything in one bag, but when you have cardboard and plastic in one bag it makes it much harder. What people don’t realize is that we have to lines, one for paper and one for plastics. 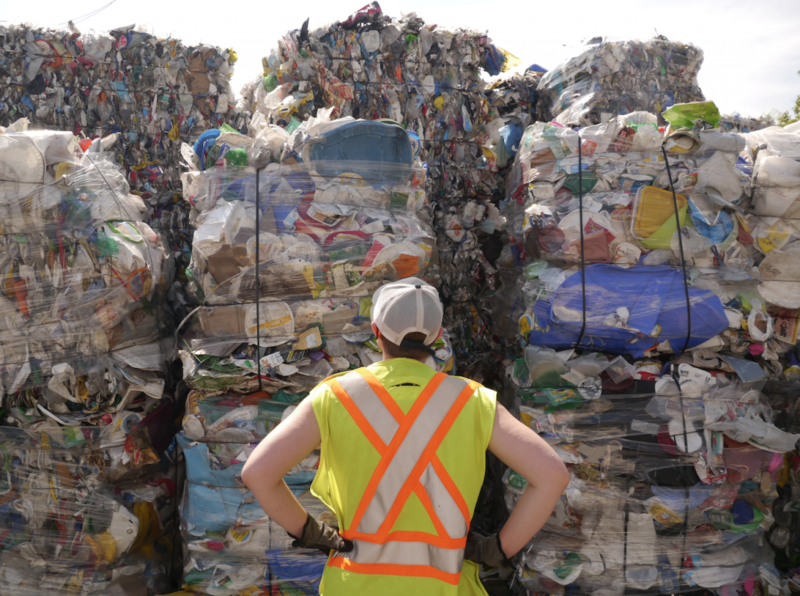 When you are on one line you don’t have a place to put the things that don’t belong there.” The sort line is the third and final step before material gets shipped off to be processed and recycled. Sorting the material is a crucial step. “If I don’t sort it, it’s going to end up in the landfill.” This is another reason Heather is proud of the work she does in our facility.